So I'm taking this class this semester about the history of Rock N Roll. You know, the same one that all the stoner kids and liberal arts students like me have to take so we can just talk about Led Zeppelin and Jethro Tull. Playing, but I needed some extra credits, so I figured why not. It's proved to be pretty damn worthless so far (pre rock n' roll though, so bonus points), but it has definitely inspired me to pull out some old blues records the last few days and here are two of the best. 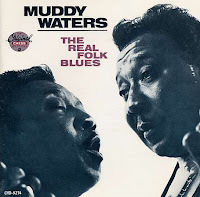 To me, there is no way that Muddy Waters' early Chess recordings are not the most direct link to that classic rock n roll sound. These two records compile some of those early recordings (I think like 1947-1962?) And it's just great. You know Muddy obviously, the guitar, the band, the AAB verses. It's that classics Chicago blues sound, a true American sound if there ever was one. It's pretty essential to listen to this stuff every now and then and just remember how great the original electric sound is. thanks for posting these. enjoying them immensely. 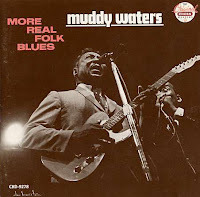 there's this guy who wears neon orange t-shirts and carhartt shorts...he likes muddy waters too.